Receive a never-ending supply of valuable tips, articles and advice on how to get your dream job, impress your boss, and advance your career! Ever Packed Into One Publication!" If you are serious about starting or advancing your career, you need to learn how to do it. Sure, you could probably figure it out for yourself with a lot of trial and error. (That's how many people do it, even though it can take months or even years.) Unfortunately, the trial-and-error approach can leave you stagnated in a dead-end job; or worse, get you fired if the "errors" are big enough. There is another way -- learn what you need to know to get hired, get noticed (in a positive way, of course!) and get ahead by reading the CAREER-LIFE TIMES. It is chock-full of how-to tips, information and advice; real strategies you can use right now to skyrocket your success. "Hi! ~ GREAT issue! I really appreciate that you take the time to write this ezine and give such valuable information. AND you don't forget to throw in some FUN! I always look forward to seeing this in my inbox, and read it first thing. Keep up the wonderful work!" (5) but scared to death that they might get fired and lose that job they hate! Don't we all know people in that situation? Do you want to BE in that situation? Of course not! (3) building financial security for yourself and your family. That's what CAREER-LIFE TIMES is all about. * Receive tips on finding great opportunities, even in a bad economy. * Find out how to get your application & resume at the top of the "call for interview" pile. 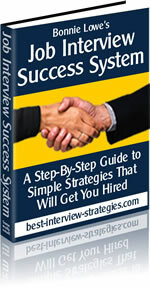 * Discover powerful strategies that you can use to ace that interview and get the job. * Avoid on-the-job mistakes that will piss off your boss. * Learn how to increase your value to your company, and thus enhance your chances for promotion. * Read about ways to balance your work and home life to get the most out of both. * Even get information on how you can become your own boss and leave the rat-race behind. All this and much more will be available to you at NO COST when you subscribe to CAREER-LIFE TIMES. No hype or fluff, just good, solid information on how to succeed in your chosen career. And here's a nice little bonus: it will be entertaining as well as informative. We all need to laugh once in a while, especially about serious stuff like our livelihoods! (1) Ask for your feedback. The CAREER-LIFE TIMES will be continually evolving and improving based on what YOU tell me. Give me your ideas and opinions. I'll listen and implement them, when feasible. (2) Tell you about products or services you might be interested in. No, that doesn't mean the CAREER-LIFE TIMES will be full of annoying advertisements. My goal is to create a lasting relationship with my readers. I would never do anything that might jeopardize that relationship. This is NOT one of those stupid newsletters that's more sales pitch than substance! But once in a while (certainly not in every issue), I might recommend a book or web site or service that is relevant to what's being discussed. That's it. No gimmicks, no scams, no risk. So why not give it a try? Subscribe, read a few issues, and see if it's worth your time. If it's not, you can easily unsubscribe whenever you wish.